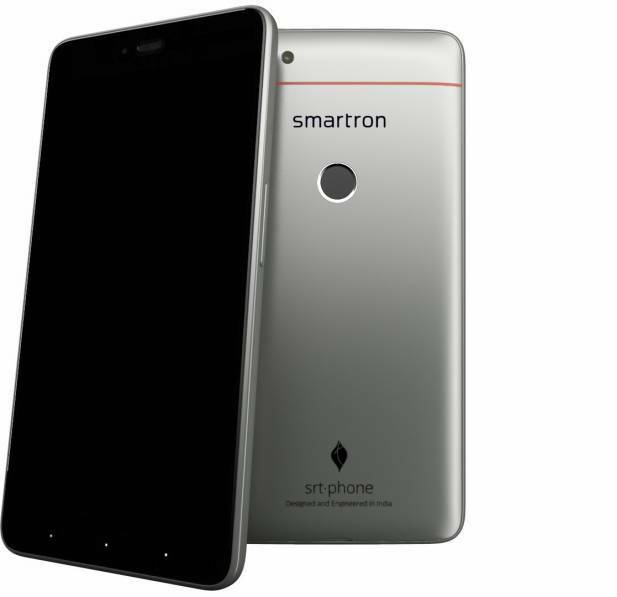 As we reported yesterday, the new Indian smartphone company, Smartron, which roped in Indian cricket legend Sachin Tendulkar as their brand ambassador has launched a new Smartron srt.phone for Rs. 13,999. The SRT in the device name stands for Sachin Ramesh Tendulkar. As expected, the device will be exclusive to e-commerce site Flipkart, who leaked the complete details along with the pricing of the phone before the official launch. The phone offers decent specifications for the asking price. The srt.phone flaunts a 5.5-inch Full HD display with a resolution of 1920 x 1080 pixels, carrying a pixel density of 401 PPI. At the heart of the phone, there’s a Qualcomm Snapdragon 652 SoC, paired with 4GB of RAM and 64GB of internal storage. Smartron is touting its t.cloud storage, which provides unlimited cloud space for the users of srt.phone. The Adreno 510 GPU will take care of the graphics in the phone. In terms of camera, the device rocks a 13MP primary camera with PDAF, f/2.0 aperture, and BIS sensor. There’s a 5MP front-facing camera as well that captures wide-angle selfies. The device comes with connectivity options such as 4G LTE, VoLTE, Wi-Fi, Bluetooth, GPS, NFC, and USB Type-C port. It boots Android 7.0 Nougat with guaranteed upgrade to Android O when it releases. The Smartron srt.phone has a 3000mAh battery with Qualcomm’s QuickCharge technology. This dual SIM smartphone has a fingerprint sensor that is placed at the back side of the phone within reach of your index finger. Other sensors in the phone are the accelerometer, gyroscope, proximity sensor, ambient light sensor, and digital compass. Smartron launched the device only in one color option – titanium gray, but they introduced some back covers with Sachin’s autograph and photograph. Smartron’s first outing was with the t.phone, which disappointed masses out there with the pricing. However, that should not be the case with the srt.phone as the device is priced exceptionally well and on-par with other handsets. Nevertheless, we believe that the company should have cut down the price by at least Rs. 2000 and launch it at Rs. 11,999. And yeah, the device will also be sold in a 32GB storage variant at Rs. 12,999 on Flipkart.